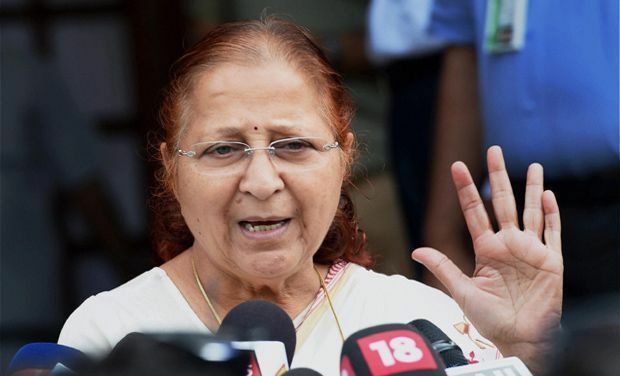 Irrespective of the politics involved, as the presiding officer of the house, it is Sumitra Mahajan's moral and constitutional duty to maintain order in Lok Sabha. The most important period in the parliamentary calendar is the Budget session, during which Parliament is expected to scrutinise the budget proposals of the government, particularly the demand-for-grants of individual ministries, as well as well discuss the overall state of the economy, as explained by the Economic Survey of India,which is released in the first-half of the session. However, a study by PRS (a legislative research body) has shown that the recently concluded Budget session of 2018 was by the far the worst performing session in 18 years. With disruptions galore, the Union government pushed through the Finance Bill, 2018, without any debate, within 18 minutes, facilitated by the Lok Sabha Speaker. Allocations to central ministries, worth Rs 26 lakh crore were approved without any discussion, through the ‘guillotine’ process. Compare the present nadir, to the days when Parliament was hailed as an exemplary institution. In 1952, the Manchester Guardian reported: “All that is happening in Asia, throws a spotlight on the Parliament in Delhi as the one institution of the kind which is working in an exemplary way.” The British political scientist, W.H Morris-Jones referred to Parliament’s functioning in 1957 as “unmistakably a story of success.” Clearly, Parliament of India has seen a major fall from grace. A system of ‘responsible government’, however cannot be executed, if Parliament is rendered dysfunctional. While, as per political convention, the government is in charge of setting the house in order by reaching out to the disruptive elements, however constitutionally, the buck lies with the Speaker in the case of the Lok Sabha. The Rules of Procedure and Conduct of Business in Lok Sabha, formulated in pursuance of Article 208 of the Constitutions, vests a great deal of power on the Speaker to maintain order in the house. The Speaker under the Rule 373 can direct a member to immediately withdraw from the House, if he or she engages in ‘grossly disorderly’ conduct. Rule 374 empowers the Speaker to suspend a member for a period not exceeding the remainder of the session, if the member wilfully obstructs the business of the House. Similarly, under Rule 374A, if a member causes ‘grave disorder’ and enters the well of the House, by naming such member, the Speaker can automatically suspend him or her for a period of five sittings or for the remainder of the session, whichever is less. By convention, the Speaker must discharge her duties in an objective and impartial manner. In July 2017 when Congress MPs disrupted the proceedings of the House, Speaker Sumitra Mahajan invoked the Rules to suspend them for five days, however when the AIADMK prevented any transaction of business in the second half of the session, she merely adjourned the house on a daily basis. This smacks of arbitrariness, the antithesis of the impartiality required while discharging her duties. A no-confidence motion (NCM) against the council of ministers under Rule 198, is an important parliamentary procedure to hold the executive accountable for its actions. While, most NCMs in India have been defeated, the sole objective is not the ouster of the government, rather it provides an opportunity for the entire Lok Sabha to appraise the conduct of the Prime Minister and his council of ministers. 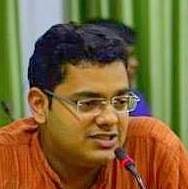 It was due to this reason that NCMs were moved against Prime Ministers Jawaharalal Nehru, Lal Bahadur Shastri and Indira Gandhi, even though they enjoyed gargantuan majorities in the Lok Sabha during the years of the ‘Congress System.’ However, it is speculated that the Narendra Modi-led government propped up the AIADMK to disrupt the House to prevent the NCM from being admitted, especially considering the close ties between the regional party leadership and the Prime Minister. Rule 198 does not vest any discretionary powers of the Speaker, as long as the notice is provided in the prescribed format and procedure, it is her duty to bring it to the notice of the House and to count whether at least 50 members are standing in favour of the motion, in order for the notice to get admitted, for debate and discussion. Mahajan refused to admit the notice for nearly three weeks on the ground that the House was not in order. Unfortunately, she is following the precedent laid down by her predecessor, Meira Kumar, who used this ground to refuse the the NCM against the UPA-II government in February 2014, during the tumultous passage of the The Andhra Pradesh Reorganisation Act, 2014. This precedent finds no backing in the text of Rule 198. This can be easily misused in future if a government actually loses its majority, it can prop up elements to disrupt the admission of a NCM, to further its tenure. 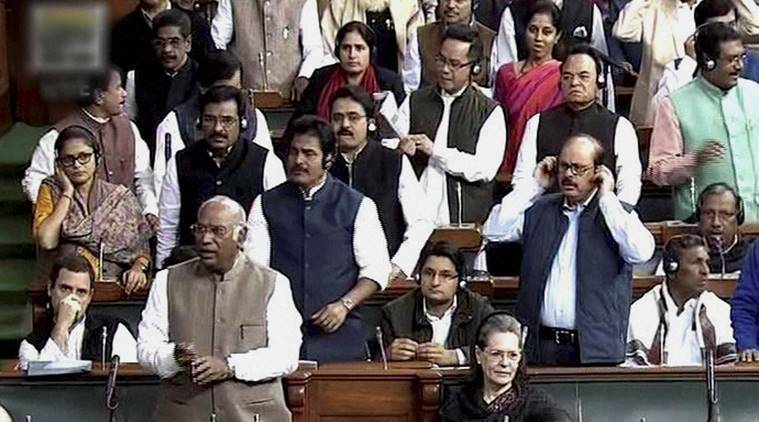 While ideally business should not transacted during the din, shouting and members entering the well of the house cannot prevent 50 MPs from standing up in their seats, as required for the admission of a NCM. Ironically, the Speaker had the ability to hear the results of a voice vote during the vote of the Finance Bill 2018, Specific Relief (Amendment) Bill, 2017 and the Payment of Gratuity (Amendment) Bill, 2017 which took place amidst loud jeering and protests, but she was ‘unable’ to count the number of MPs standing in their seats in support of the admission of the NCM notice because of the pandemonium, even though her vision was not obstructed due to her elevated seat. On August 31, 1961, Braj Raj Singh raised an objection regarding the manner in which NCMs were being admitted under Rule 198. He insisted that the grounds for the removal of the government should be read out while the notice of NCM is considered at the stage of admission. The then Speaker, M.A Ayyangar, rejected this argument by distinguishing a NCM from a censure motion. The Speaker gave a logical explanation for his decision that the grounds of no-confidence is not a condition precedent to the admission of a NCM notice. However, on April 5, 2018 when Saugata Roy of the Trinamool Congress raised an objection, by pointing out that Rule 198 does not require the house to be in order, the Speaker brushed aside his objection by merely saying “I am taking it and according to Rule I am taking.” The Speaker’s inability to explain the reasons for her decision, was quite conspicuous. The gradual decline of Parliament is a matter of serious worry, as it directly undermines the stability of our democratic polity. Irrespective of the politics involved, the presiding officer of the house, (in this case, the Speaker of the Lok Sabha) has the moral and constitutional duty to maintain order in the house. Numerous scholars have written about the government and the opposition’s lack of respect for the institution, but the real question is whether the Speaker will reinforce respect for democracy? The answer, unfortunately, remains as elusive as ever. Arvind Kurian Abraham is an Advocate, West Bengal National University Of Juridical Sciences, Kolkata.